Ingredients: Aloe Barbadensis (Organic Aloe) Juice, Glycerin, Cetearyl Alcohol, Glyceryl Stearate, Stearic Acid, Caprylic/Capric Triglyceride, Sodium Hyaluronate (Hyaluronic Acid), Panthenol (Pro Vitamin B5), Isopropyl Myristate, Dimethicone, Ceteareth-20, Camellia Sinensis (Green Tea) Leaf Extract, Symphytum Officinale (Comfrey) Rhizome/Root Extract, Anthemis Nobilis (Chamomile) Flower Extract, Butyrospermum Parkii (Shea) Butter, Cocos Nucifera (Coconut) Oil, Helianthus Annuus (Sunflower) Seed Oil, Citrus Aurantium Dulcis (Orange) Peel Oil, Citrus Grandis (Grapefruit) Peel Oil, Citrus Tangerina (Tangerine) Peel Oil, Tocopheryl Acetate (Vitamin E), Carbomer, Phenoxyethanol, Ethylhexylglycerin, Sodium Hydroxide. 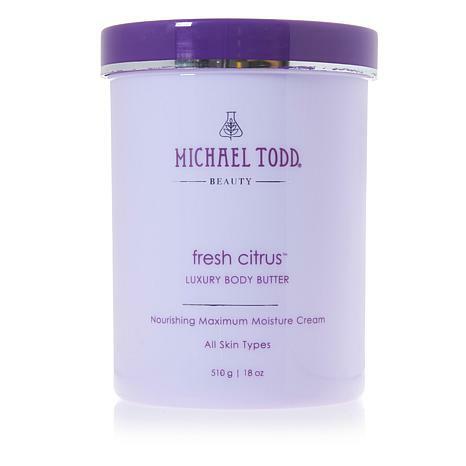 I have tried several body butters throughout the years and this is my new favorite. 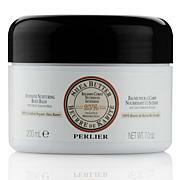 Goes on silky smooth and moisturizes very well. I definitely will be ordering this again and again.Thank you HSN for a great product.On a sour note, the bottom of the jar was cracked and you need more quality control when shipping this product. Although it was wrapped in plastic, it should always be shipped in bubble as well to prevent cracking. I did not like the smell at all! I like citrus scents, but this was over powering. Korres Jasmine Smoothing Body Butter - 4.23 fl. oz.